“We’re big about trees around here,” said Dan Stone, city arborist with the City of Jamestown Department of Parks, Recreation & Conservation. Jamestown is one of 16 Western New York communities that have been honored in the Tree City USA program for their attention to the “urban forest.” Tree City USA is a program sponsored by the National Arbor Day Foundation in cooperation with the US Department of Agriculture Forest Service and the state forestry agencies. 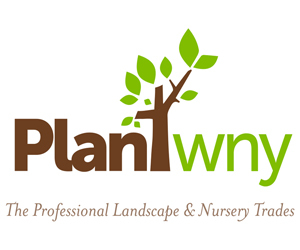 Stone will speak about the program and offer tips on trees in a presentation hosted by the Transplants Garden Club at 1 p.m. Monday, April 21 in the Fireplace Room at the James Prendergast Library, 509 Cherry St., Jamestown. Trees have many benefits, Stone said. The shade they provide can help us cut the cost of air conditioning. They hold soil intact, act as a wind block, add oxygen to the air and provide a habitat for animals. “And there’s the peace and tranquility they provide,” he said. The changes of color throughout the seasons are beautiful, especially the rolling hills in autumn covered red, orange and yellow. He lived in Florida for several years and when he showed people photos he took in Western New York, they thought he was showing them postcards he had purchased. Suburban tree farm in the Town of Tonawanda. Photo courtesy Town of Tonawanda. Two communities, Jamestown and the Town of Tonawanda, also received growth awards for going beyond the four basic standards. The Town of Tonawanda began a suburban tree farm in 2011, said Jack Schifferli, town forester. It provides training for the interested members of the Boys & Girls Club of the Northtowns, who learn skills such as planting, transplanting and pruning. Trees grown by the participants will be planted by volunteers May 3 on Kenview Ave.
Jamestown has gotten outside funding that will allow the city to plant one-third more street trees this year, Stone said. 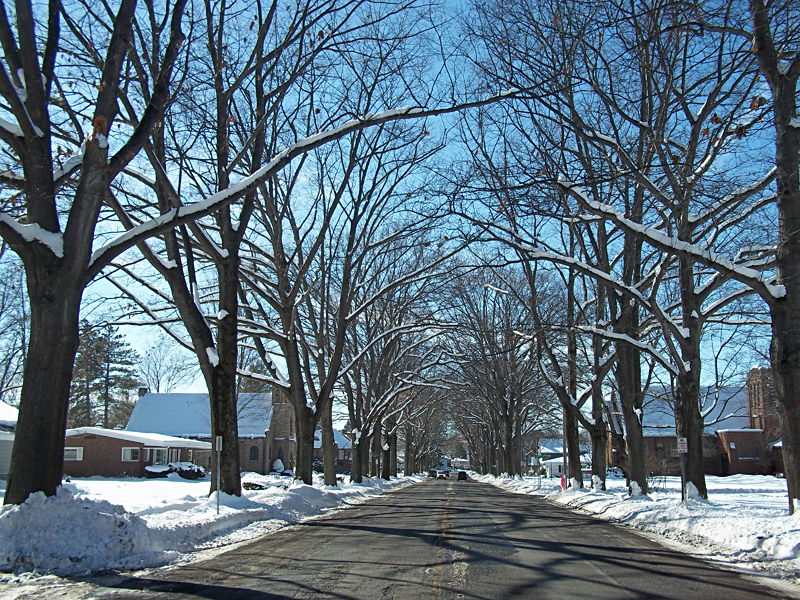 Jamestown has more than 12,000 street trees, and the city cuts down about 200 trees a year for public safety. Most trees are simply old, but some are diseased or damaged by cars. A $7,000 grant from the Chautauqua Region Community Foundation will be used to plant 76 trees in the neighborhood of Fletcher Elementary School. 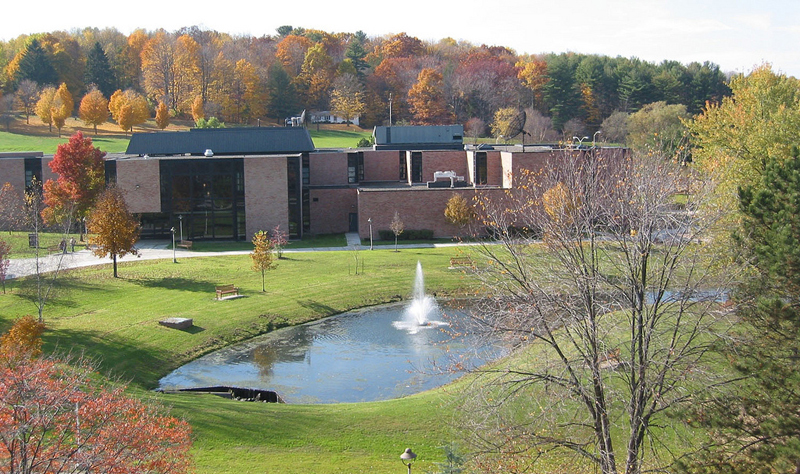 Stone was also proud to note that Jamestown Community College is in the Tree Campus USA program. It was the second school in the state to receive the designation and has received it for five years. Your village, town or city can be part of the Tree City USA program; the standards are written in such a way that even small communities can qualify. Find more information here. Kudos to Jamestown, more communities should follow their lead. I was unaware of the Tree City USA program. 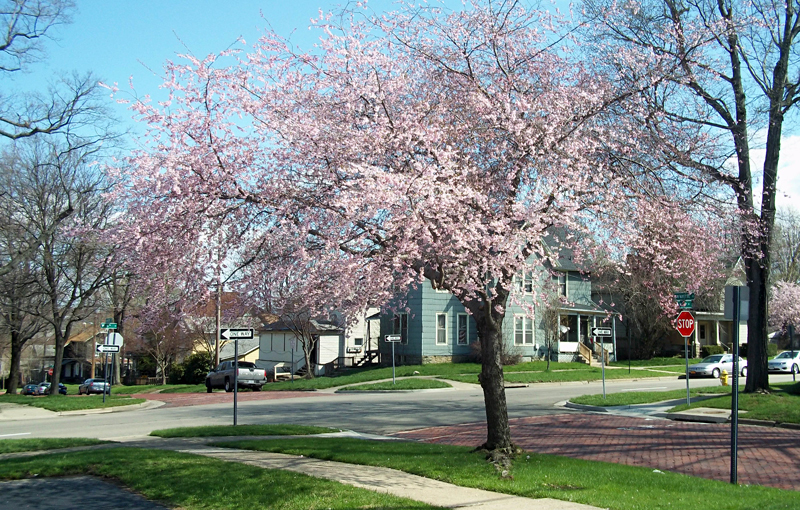 I would like Cheektowaga to replace the trees that were destroyed during 2006 Oct Surprise Storm. My street is missing quite a few. Tell me, how does a town taxpayer get action? Contact the town and tell them of your concerns. That’s definitely your first step. If they indicate that the trees won’t get planted anytime soon, find out why. Is it because there’s an unwillingness to replace the trees, or is it because so many trees were killed that they have a waiting list, or not enough money or not enough manpower? From there you can decide what you can do as a citizen. If elected officials don’t see trees as a priority, attend board meetings and make phone calls and write letters to get them to see that it’s important. Perhaps the folks who take care of trees haven’t been able to make their case for more funding and would be happy to have community support. 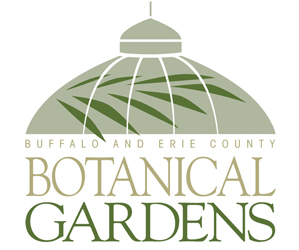 There are resources such as ReTree WNY that might be helpful. You could volunteer, too. There are lots of ways citizens in a democracy can get things done. I’m glad you’re concerned. I hope you will take action. I’m a proud resident of Jamestown and absolutely love the trees. They lend our neighborhoods character and beauty and soften that stark urban landscape. Jamestown has emerged here as a true leader.